To celebrate all things Emerald Isle this month, we offered you the chance to win some outstanding and rare Irish whiskey. The competition has now concluded, and we have a victor. You might remember way back about a fortnight ago when it was St. Patrick’s Day that there was a Master of Malt competition taking place to give away some sensational Irish whiskey. The rules were simple: snap up a bottle from the sublime Spot range before 23:59 Fri 22 March and you would be automagically be entered into the draw (we also offered you £5 off Yellow Spot, because we’re just that lovely). The prize? Two incredible bottles of money-can’t-buy Yellow Spot whisky. Two very rare bottles. The only two there are, in fact. That’s how delightfully rare this whisky is. Now the competition has ended and we’re delighted to announce that both bottles are on their way to one extremely lucky person. Win two incredible bottles of money-can’t-buy Yellow Spot! 4 Comments on Win two incredible bottles of money-can’t-buy Yellow Spot! To celebrate the day devoted to the man who chased the snakes out of Ireland, we’re offering you £5 off Yellow Spot, PLUS the chance to win two very rare bottles. So rare, there are only two of them. And one lucky person will win both! Sunday 17 March is St. Patrick’s Day, and what better way to celebrate than with a good drop of Irish whiskey. There are so many delicious ones to choose from nowadays. We’re particularly partial to the Spot range of single pot still whiskeys. We went to to Dublin recently to try the latest release, Red Spot 15 Year Old, which we thought was pretty bloody brilliant. But we have something for you that trumps even that. You could win two very special bottles of Yellow Spot drawn from a single cask specially selected by master blender Billy Leighton! The spirit was originally laid down in November 2003 in an American oak ex-bourbon cask. Then in April 2008, it was transferred to a first-fill Spanish oak Malaga wine cask where it has been resting until now. Bottled at a natural cask strength of 58.2% ABV, these two bottles offer an incredible opportunity to taste a unique single cask component of Yellow Spot whiskey. Malaga, an intensely sweet wine from Andalucia, gives the whiskey a rich honeyed quality, and combined with that creamy spicy pot still flavour, the results are out of this world. Only two sample bottles have been filled with this special whisky (don’t worry! They’re still 700ml), and just to reiterate, the winner will get both. Two bottles! One to drink now and one to keep for that special occasion: daughter getting into medical school, winning a charity golf tournament, or just because you’re worth it. Simply snap up a bottle from the excellent Spot range between now and 23:59 Fri 22 March, and you’ll be automagically be entered into the Yellow Spot draw. See below for Terms and Conditions. Lovely, lovely Yellow Spot – at £5 off! Everyone’s a winner with £5 off Yellow Spot! And hold onto your hats because we’re not done yet with whiskey-related excitement – regardless of whether you’re the lucky winner of those Malaga cask bottlings (we’re not jealous at all…) we’re delighting your wallet as well as your taste buds with £5 off Yellow Spot this St. Patrick’s Day! Yep, so you can snap up a bargain to savour now, while giving yourself the chance to win something truly extraordinary. Good luck! MoM Yellow Spot St. Patrick’s Day 2019 Competition open to entrants 18 years and over. Entries accepted from 8 – 22 March 2019. Winner chosen at random after close of competition. Prizes not transferable and cannot be exchanged for cash equivalent. Some shipping destinations excluded. Entry also available with no purchase. See full T&Cs for details. PROMOTER: The promoter of this competition is Atom Supplies Limited (company number 03193057), trading as Master of Malt (MoM), whose registered office is Unit 1 Ton Business Park, 2-8 Morley Road, Tonbridge, Kent, TN9 1RA, United Kingdom. THESE TERMS: By entering this competition, entrants confirm they have read, understand and agree to these terms and to be bound by them. The promoter reserves the right to amend these terms at any time. ELIGIBILITY: This competition is only open to private individuals who are 18 years old or older (and of legal drinking age to purchase alcohol in their country of residence). Ineligible entries (howsoever received) will be discarded. Employees of the promoter, its parent company or any of its affiliated or associated companies and any of their immediate family members are not eligible to participate in this competition. ENTRY/COMPETITION PERIOD: This competition opens at 16:00:00 pm GMT on 08 03 2019 and closes at 11:59:59 pm GMT on 22 03 2019. Any entries received after this period will not be eligible. HOW TO ENTER: To enter, individuals must within the entry period purchase any qualifying 70cl bottle of Spot Whiskey as listed on https://www.masterofmalt.com/distilleries/spot-whiskey/ from the MoM website in accordance with MoM’s standard Consumer Terms of Business during the entry period (each being a qualifying purchase). There is also a no purchase entry option, which you can read about below. Entries received in accordance with the above entry requirements (and subject to all other conditions in these terms) will be entered into this competition and deemed a qualifying entry. Multiple entries are permitted, encouraged even! References in these terms to the completion of the purchase of a product shall be construed as a reference to the time at which the purchaser receives an email from MoM which confirms that we have dispatched the order. Any person who cancels a qualifying purchase, by any method whatsoever and whether before or after dispatch, shall be disqualified. Any person whose qualifying purchase is not made in accordance with MoM’s Consumer Terms of Business shall be disqualified. Any person whose qualifying purchase is cancelled by MoM owing to factors outside of MoM’s control (including import restrictions) shall be disqualified. Nothing in these terms shall prevent any entrant whose qualifying purchase is disqualified for any reason from making a separate, new qualifying purchase. To enter this competition without making a purchase, please follow the following steps: any eligible individual who sends a postcard or letter to Master of Malt, Unit 1, Ton Business Park, 2-8 Morley Road, Tonbridge, Kent, TN9 1RA, United Kingdom (marked for the attention of the Marketing Team) casually mentioning the fact that they wish to enter the Yellow Spot St Patrick’s Day 2019 competition and setting out their name and contact details shall be entered into the competition, provided that the postcard or letter is received prior to the expiry of the entry period. By entering the competition in this way, the entrant confirms that he or she is eligible to do so and that they are agreeing to be bound by these terms and conditions. Each entry received in accordance with this section will be entered into the competition as though it is was a qualifying purchase. MoM will not be responsible for any entries which are lost or delayed in transit, regardless of cause including, for example, as a result of any failure of any postal system of any kind. MoM will not accept proof of posting as proof of receipt of entry to the competition. Postcards and letters will not be returned. The promoter reserves the right to verify the validity of entries and entrants (including an entrant’s identity, age and place of residence) at any time and reserves the right, in its sole discretion, to disqualify any individual who, or any entry which, it believes has breached any of these terms, tampered with the entry process or engaged in any unlawful or improper conduct which may undermine the fair and proper conduct of this competition. THE PRIZE: The prize is two 70cl sample bottles of natural cask strength Spot Whiskey drawn directly from a single Spanish oak Malaga cask, hand-selected by Irish Distillers master blender Billy Leighton. The prize includes packaging and delivery to any address that MoM currently ships to, please see here for further guidance. The prize is provided by Pernod Ricard UK Ltd (Pernod Ricard) and will be delivered to the winner by MoM. Pernod Ricard reserves the right to select whichever cask it sees fit in order to procure the prize bottles and MoM will have no control over this. The prize is strictly non-negotiable, non-transferable, and cannot be exchanged for any equivalent cash value, cash alternative, or for other items. WINNER SELECTION, ANNOUNCEMENT AND NOTIFICATION: There will be one winner and the winner will be selected at random shortly after the competition period. The selection made will be final and no correspondence or discussion will be entered into. The name of the winner will be announced as soon as practicable after the end of the entry period on the MoM blog. In order to accept the prize, the winner shall be required to agree that we can use his or her name and county, state or region of residence (as applicable) when announcing the winner of the competition and for other reasonable and related promotional purposes (nothing sinister, and we won’t sell the winner’s or any other entrants’ details to anybody else – we promise). MoM may contact the winner for feedback in respect of the competition and/or prize and may use any feedback provided when announcing the results and promoting the competition or subsequent competitions. If the winner cannot be contacted or is not available or has not claimed the prize within 3 days of the announcement date, MoM reserves the right to offer the prize to another eligible competition entrant. MoM cannot accept any responsibility if the winner is unable to take up the prize. MoM will send the name and county of the winner to anyone who writes within one month after the end of the competition period requesting details of the Winner and who encloses a self-addressed envelope to the address set out below. MoM reserves the right to hold void, suspend, cancel or amend the competition where it becomes necessary to do so. If there is any reason to believe that there has been a breach of these terms or any attempt to circumvent or to frustrate them, MoM may, in our sole discretion, exclude any person from participating in the competition. Insofar as is permitted by law, the promoter, its agents, employees, and/or representatives shall in no circumstances be responsible or liable to compensate the winner who claims the prize for any loss, damage, personal injury or death whatsoever and howsoever caused, whether in contract, tort (including negligence), breach of statutory duty, or otherwise, for any direct, indirect or consequential losses arising out of or in connection with any failure or delays, postponements, or cancellations in making the appropriate travel and accommodation arrangements as a result of the winner taking up the prize (including in relation to their guest), except where it is caused by the negligence of the promoter, its agents, employees, and/or authorised representatives. competition entrants’ statutory rights are not affected. These terms shall be governed by English law, and the parties submit to the non-exclusive jurisdiction of the courts of England and Wales. Copyright in these terms belongs exclusively to Atom Supplies Limited.All rights (including moral rights) are asserted and reserved. The Burns Night poetry comp – we have a winner! 1 Comment on The Burns Night poetry comp – we have a winner! It’s Burns Night which means that it’s time to announce the winner of our poetry competition. We were inundated with entries, from haikus to rude limericks to long poems written in the style of Burns. There were many that rhymed whisky with frisky, some that made us laugh, and others that made us groan. There were even a few that were too obscene to print. Overall though, we were amazed by how much effort some of you put in. Who knew Master of Malt customers would be so talented? 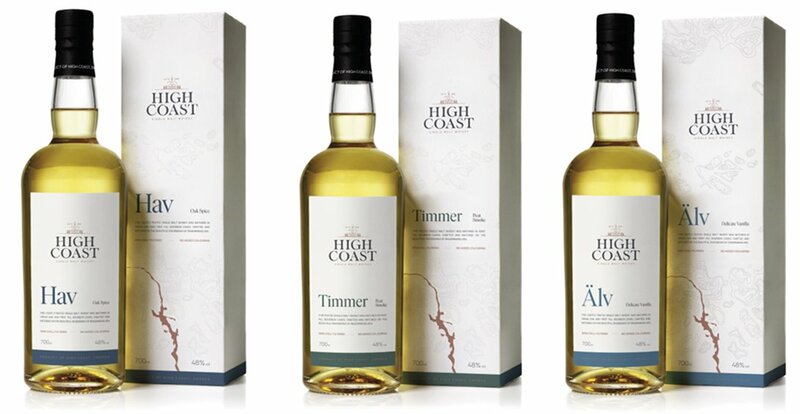 We were so impressed that we’ve picked five runners up who will all receive drams. Burns Night poetry comp – win Robert Burns single malt! 32 Comments on Burns Night poetry comp – win Robert Burns single malt! Friday 25th January is Burns Night and to celebrate Scotland’s bard we are doing something a little different, a poetry competition! Robbie Burns was not only Scotland’s greatest poet but he was also famously keen on Scotland’s greatest export, Tunnock’s Teacakes. Sorry, whisky! If Burns had the money, he drank Ferintosh from the Black Isle, which was considered the best whisky in Scotland. When it stopped distilling in 1784, Burns wrote a poem: “Ferintosh! O sadly lost! Scotland lament frae coast to coast….” Though a lowlander, he was not very keen on Lowland whiskies, referring to them as “rascally liquor”. Perhaps though, Burns’s most famous pronouncement was: “Freedom an’ whisky gang thegither! Take aff your dram!” And who can argue with that? So to celebrate Burns and Scotch whisky, Master of Malt is proud to announce a poetry competition. All you have to do is write a poem about whisky. It’s as simple as that. It could be a sonnet, a haiku, a limerick, or, if you have the time, an epic like ‘Paradise Lost’. You could even write it in the style of Burns. It could be about a specific whisky (shall I compare thee to a Famous Grouse? ), or could be about whisky in general. We only insist that your poem must be in English or Scots. The winner will be the one that we think is the best (making us laugh will probably help). Three individuals will soon gaze upon the breathtaking views from the Seaview Cottage. The warmth and smell of peat bonfires filling their noses. They are the victors. Our competition has concluded and a VIP trip to Ardbeg Distillery is their prize! Islay. Ardbeg Distillery. Distillery tours. Tastings. An enhanced Ardbeg activity. Two nights’ accommodation at the distillery with meals and more. All of this awaits the lucky three victors (and their plus-ones). To mark another fantastic festive season, we asked the good public (that’s you!) to help us find our supernatural, omniscient, festive, heavily-bearded friend #WhiskySanta, with a £250 MoM gift voucher as reward – and we’ve got our winner! As the countdown to Christmas was drawing to a close we approached you with an opportunity to find our friend, and win big by doing so. #WhiskySanta became a little distracted while living his best life at Aberfeldy Distillery (we can confirm the rumours that mince pies were to blame) and got a tad lost. So we asked you to put on your best Sherlock Holmes/Nancy Drew/that guy with the moustache impression and help us find #WhiskySanta. #WhiskySanta’s Glenfarclas 1956 (cask 1767) Family Cask Super Wish! 15 Comments on #WhiskySanta’s Glenfarclas 1956 (cask 1767) Family Cask Super Wish! #WhiskySanta’s really pushed the boat out for his final Super Wish of 2018. Fancy a whisky distilled waaaayy back in 1956? What about one described as ‘age- and logic-defying’? This week’s mega super-duper Super Wish is… Glenfarclas 1956 (cask 1767) Family Cask Spring 2015 Release! Ho, ho, ho, my marvellous, merry chums! I’m in exceptionally fine spirits this glorious Monday. Not only did my elves cook me a terrifically tasty early Christmas dinner yesterday (I need to get my strength up in the last week before the Big Day! I’m still working my way through my mega Santa sack of gifts worth £250,000! Keep wishing on social and buying those boozes. You never know what I might slip in with your order… I might even pick up the entire tab! ), but I have a right treat in store for my final Super Wish of 2018. 12 Comments on Help us find #WhiskySanta and win a £250 Master of Malt voucher! Fancy snapping up a delicious Christmas treat just for you? Help us find #WhiskySanta and you could snap up a super-fancy, interest-accruing, never-expiring Master of Malt voucher worth £250! Christmas is approaching with alarming haste! Which probably means you’re either in a panicked whirlwind of pressie shopping or you’re sat smugly, dram in hand, actually enjoying the festive season as you’d chosen, bought, and wrapped all your gifts prior to 1 November. Either way, there’s still space for a little self-gifting, right? How does a MoM voucher to the tune of £250 sound?! That’s a really rather delectable bottle. Or a LOT of drams. It’s also the dream way to round off the year! So we thought we’d get in the spirit of #WhiskySanta and have a little game for our eagle-eyed friends and followers! #WhiskySanta’s The Macallan M Super Wish! 18 Comments on #WhiskySanta’s The Macallan M Super Wish! #WhiskySanta is back with a Super Wish so special that it will, quite literally, knock your socks off. This week he’s giving away a Lalique decanter of The Macallan M worth £3,300! Mariah Carey once sang “All I want for Christmas is you”. In my view, it’s the last great Christmas song and one I never get tired of shaking my booty to at the #WhiskySanta Christmas party, but can you imagine if people acted on this song’s sentiments? Just picture the scene. It’s Christmas Day but I haven’t ventured down the chimney laden with boozy goodness because someone said that all they wanted for Christmas was to see a special friend. There would be tears before bedtime. So to prevent grown-ups crying, I have been busier than ever giving away fine whiskies and other boozes from around the world in thousands of Master of Malt orders and also across social. By harnessing the awesome power of Twitter, Facebook and Instagram (oh, and Google+. Go on then), I have been making your wishes come true. Including, for some very lucky people, Super Wishes! #WhiskySanta’s Talisker Bodega Series 40 Year Old Super Wish! 11 Comments on #WhiskySanta’s Talisker Bodega Series 40 Year Old Super Wish! #WhiskySanta has returned with the first spectacular Super Wish of December – and it’s another absolute Christmas corker. This week a lucky someone will receive a bottle of Talisker Bodega Series 40 Year Old, worth £2,750! Happy December, my festive friends! The most merry of months has returned, which I’m sure all who remembered to open their Advent calendars will know (particularly if they’re filled with the good stuff). As you can probably imagine, this is the month when I really get in the groove, which is just one of the many things Michael Bublé and I have in common. But I’ve already got one up on my baritone buddy, as I’ve spent the previous few weeks making this the jolliest season it can be by granting wishes every single day across Twitter, Instagram and Facebook. I’ve also been building up to the big month by doing what I do best: frequenting MoM Towers to give away all kinds of wonderful things with orders – be it drams, bottles or gift vouchers, as well as picking up the tab for whole orders! Oh, and I’ve been granting those little things called Super Wishes! From the Drinks by the Dram Old & Rare Advent Calendar, to the stunning Probably Speyside’s Finest Distillery 50yo 1967, the cracking Craigellachie 31 Year Old and the magical Method and Madness Single Pot Still 28 Year Old, many deserving wishers have been spoiled Super Wish-style! Seeing as the elves and I pride ourselves on making we maintain these Skye-high standards, this week’s Super Wish is… Talisker Bodega Series 40 Year Old!